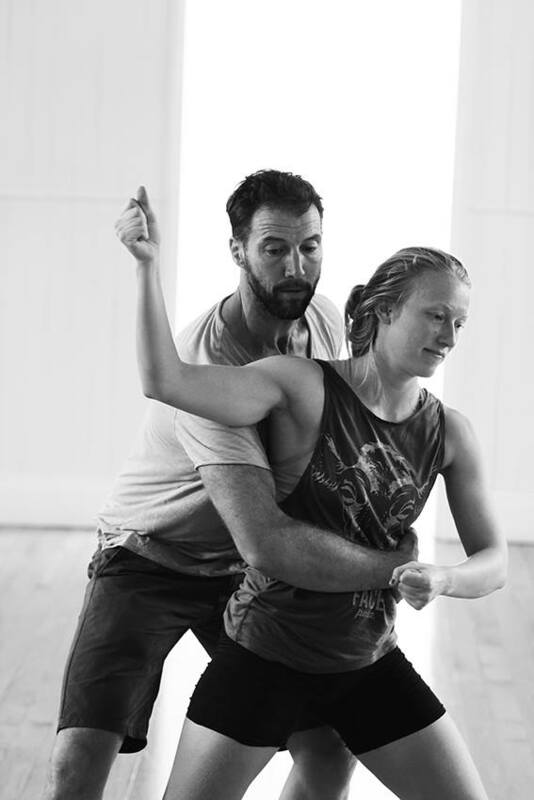 Norwegian dancer with disability, Maria Terese Høgåsen Kittilsen recently traveled to Australia to attend The Corner Dance Lab 2015 which was led by Philip Channells (Dance Integrated Australia) and Gavin Webber (The Farm) at Federal’s Jasper Corner. She was one of 35 dancers from different cultural background and life experience living locally, throughout Australia, New Zealand, Germany and Norway who collaborated across a week in January with some of Australia’s best local, interstate and international artists. This was the second time Maria had worked with Australian dancers. The first occasion was on the Australian-Norwegian collaboration, PERFECT (im)PERFECTIONS – stories untold directed by Channells for the Multiplié danse festival 2014 with Sydney-based independent artist, Katina Olsen. Olsen was working with Channells as his workshop and choreographic assistant in Trondheim as part of her JUMP mentorship program and Kittilsen was involved in the project as both a performer and part of the education team that provided communication assistance. Post Jasper Corner residency, Maria caught up with Philip after spending a few relaxing days in Federal listening to the sound of the rain on the rooftop and chatting about her experience and aspirations. Growing up was safe and stable. Both my parents were always around, and always made everything about me and my brother. I was encouraged to find my own identity and make my own choices, and so I turned in to the crazy and creative one in my family. What are some of your earliest memories being a dancer? I remember I didn’t enjoy dancing lessons that much in the beginning, I think it was related to not feeling like I could do what they (the teachers) asked me to. I would rather do theater and sing, which made me feel free. But I remember loving to dance on stage. At home I would always dance. I would close the door to my bedroom, play loud music and just dance by myself. And then I finally got a dance teacher who inspired me, and after that it was all I wanted to do. I remember seeing Billy Elliot and buying the t-shirt saying If you want to dance – DANCE. I knew I had a disability that would make it harder for me even back then, but no one ever told me it would stop me from reaching my goals, which I will be forever thankful for. Hege Nordahl-Angell was the first dance teacher to really inspire me. I have had lots of great teachers since, but she was the first one to make me feel confident. Thanks to her I realised how much I loved dancing. She taught me everything I know about jazz dance, and I´ve taken classes with her for about 10 years on and off at different dance schools. I am forever grateful for her way of teaching. To this day she is still a great inspiration and a friend. Why did you stop dancing? Do you have any regrets? I stopped dancing when I had finished my first year of high school. I went to a dance school, and all I wanted to do was be a dancer. I had been encouraged by dance teachers, and I had spent hours and hours doing supplemental training to somehow try to get my disability to disappear, or at least become smaller. Of course that didn’t happen. Up until that point I had always been one of the strongest dancers in my group, I was always good at what I was doing. And then everything started to get harder, both physically and mentally. My body couldn’t handle all the hard work, and my mind couldn’t handle not being able to control my body, not being able to do what the others were doing. I was pushed too much towards making my feet stay in the right position, being strong enough, moving fast enough, jumping high enough, but I did not feel challenged at all when it came to the artistic part, so I got bored and frustrated, and I felt as though I would never ever become a real dancer. I spent a lot of time regretting it. But at the same time it also felt good to let it go. It was like going through a bad break-up. I knew it was for the best, but my heart was completely broken. But a piece of me was always missing when I wasn’t dancing. That’s why I started doing it again as a hobby after I finished high school. Still as a hobby I would again spend more and more of my waking hours dancing and training. And then the same thoughts would come back. Now I feel like I can’t justify spending as much time on it, feeling like I don’t know where it will take me. But still all my body and mind wants to do is dance. You rekindled your interest in dance in 2014 through the PERFECT (im)PERFECTIONS project in Norway. What was it about your experience of that project that sparked a new direction in your life? I had already been dancing a lot for several years before P(im)P, but it was mostly technique training, and it was always with a thought of it just being for myself, for my own pleasure, and it wouldn’t lead to anything ‘real’. But working with the project and performing on stage with all these amazing people and dancers I felt like I just wanted more of it. And I felt like this way of working with dance had been missing from my life. Can you describe your experience of Australia for someone who’s never been here before? Australia was amazing in every possible way. The country is beautiful, and the people even more so. I love how everything felt more laid back, at least as soon as I got out of the cities. Australia has so much to offer, so many different cultures. There are so many things going on in the bigger cities, but also in smaller places like Federal. People are passionate about what they do, whether its surfing or dancing or something different. It took me a while to look to the right side when I was crossing the road, to learn what really is the difference between a cappuccino, a latte and a flat white, to get used to the extreme heat and all the bugs. But Australia is the kind of place where you want to adapt. It felt easy. And now that I am home it is way harder to try to get used to the Norwegian way again. As the only Norwegian on the project, was it easy enough to connect with people at The Corner Dance Lab? Of course it is always a bit scary in the beginning. When you don’t know anyone. But that’s the same no matter where you’re from or where in the world you are. The people at The Corner were so great, making friends was easy and I never felt different or on the outside because I was from a different country. In the end it doesn’t matter. What did you gain from your experience in Federal? So much I don’t even know where to begin. I became a way better dancer. I was able to tune in to my body and also my emotions more. I learned a lot that I will take with me in my own teaching, from observing how the teachers communicated. And I feel like I became more aware of and improved my own communication skills. I learned to feel more confident as a dancer and the feeling that I want to keep dancing grew even stronger. How did you find working with so many different teachers? I found it very inspiring. They all have their very own way of communicating, which is interesting. A lot of the time they carry the same messages, but in so many different ways. But also they all were experts within different areas, and they had so much to share. What’s next for you in dance? What would you like to do now? First of all I need to finish my bachelors degree, which also does revolve around dancing. I will do some teaching in Norway, and hopefully be able to share some of the things I learned at The Corner. Integrated dance will be the theme for my bachelors thesis and I am hoping to learn more about what opportunities actually lie in Norway. But other than that I also want to explore my options in the rest of Europe, or possibly go back to Australia. After finishing my degree I definitely want to see how far I can get working with dance. And I am especially hoping to explore the possibilities of further work with Philip Channells either in Norway or Australia. A Norwegian or Australian lifestyle? What suits you best? Can I have both? I loved Australia, and I really feel like I could live there. But I do love Norway as well. Maria Terese Høgåsen Kittilsen is 24 years old and from Oslo, Norway. She is a student at the Norges idrettshøgskole (Norwegian College of Sport Science), where she is majoring in Coaching, Sports Psychology and Dance. She has been dancing and performing ever since she was young, and has performed in several musicals and shows in Oslo. Most of her experience comes from jazz dancing, but she has for the last few years been deepening in contemporary and modern dance. In February 2014 she worked on the Norwegian / Australian collaboration between DansiT – Senter for Dansekunst i Sør-Trøndelag and Dance Integrated Australia in Trondheim, Norway, which was part of her study program. She worked alongside Director / Choreographer Philip Channells and Rehearsal Assistant, Katina Olsen taking several roles including translator, workshop assistant and a dancer in the performance, PERFECT (im)PERFECTIONS – stories untold, which was presented at the Multiplié Dansefestival in Trondheim. This experience sparked her interest in the work in Australia with people with different embodiment, especially because she herself has a lived experience of disability. Maria was born with a very small degree of Cerebral palsy. Now she has traveled all the way from Norway to Federal for further inspiration, creative work and education.